The director of the new Freddie Mercury biopic, Bohemian Rhapsody, has been fired due to “unreliable behaviour”. 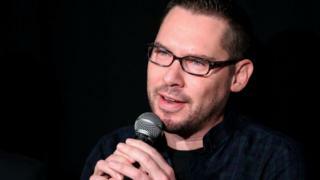 In a statement, Twentieth Century Fox said Bryan Singer was no longer the director of the film. A source told the BBC the main reason for the firing was “a pattern of unreliable behaviour on the set”. They added that the studio felt the move was in the best interest of the film. The film will tell the story of the late Queen frontman’s life. Singer had clashed with lead actor Rami Malek and failed to show up for filming on multiple occasions, according to The Hollywood Reporter. The announcement comes days after the studio said production had been suspended so Singer could deal with “a personal health matter”. The director’s representative said it was “a personal health matter concerning Bryan and his family”. His representative has not yet responded to the latest development. Filming has been taking place in the UK, with Ben Hardy, Joe Mazzello and Gwilym Lee starring as Queen’s other members. The movie is still expected to be released in December 2018 as planned. As well as directing, Singer is listed as a co-producer, alongside Queen’s Brian May and Roger Taylor, among others. Singer’s past directing credits include The Usual Suspects, four X-Men movies and Superman Returns.